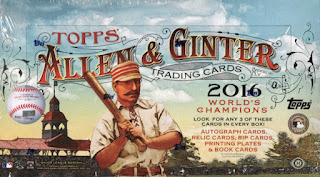 One of the most anticipated surprises of Topps’ annual baseball calendar is the release of the 2016 Allen and Ginter baseball card set; not necessarily for the baseball players included within, but the non-baseball celebrities and athletes that grace the contents of the checklist. 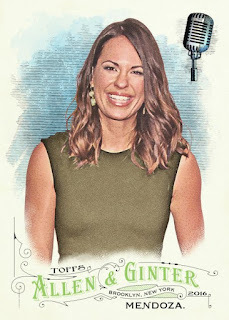 While some fans may not be excited to discover a card of a comedian or broadcaster in between All-Stars, this mix of eclectic personalities with today’s top baseball talents is what sets Allen and Ginter as a distinct release in the baseball card space. Familiar non-baseball names include actors Anthony Anderson and George Lopez, Olympians Missy Franklin and Michael Phelps, as well as sportscasters Colin Cowherd and Mike Francesa. Topps also gives a major nod to the growing presence of female on-air sports analysts and personalities with the inclusion of Jessica Mendoza, Jill Martin, Hannah Storm, and Heidi Watney. Moving aside from the contents of the base set, the classic painted designs give Allen and Ginter a vintage feel while accentuating the photos by leaving room on the borders for the images to stand out. 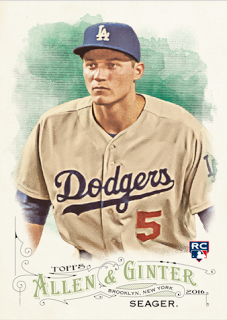 This blueprint has been the hallmark of the Allen and Ginter series and what continues to attract collectors to the product. 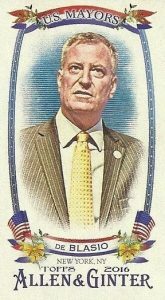 Collectors will gravitate towards the Baseball Legends insert set, which highlights 25 top Hall of Famers including its newest member, Ken Griffey Jr. Another fun chase is the United States Mayors mini set, featuring 35 different mayors including New York City’s Bill de Blasio. 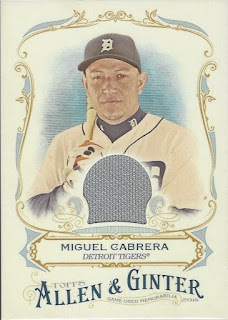 Each box guarantees three hits in the form of a rip card, autograph, relic, or book card. Also included in the hobby box for this review was an oversized box loader card. 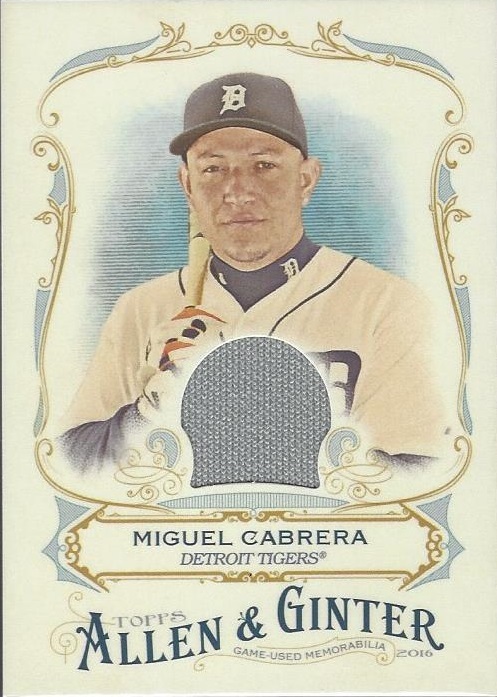 The box for this review yielded an autograph card as well as two relic cards, a fulfilling output for those looking from hits in the product; however, it did come well short of a complete set, leaving those wanting to build one with many holes to fill. With a diverse list of baseball players and non-sports starts, 2016 Topps Allen and Ginter creates an exciting collecting atmosphere that serves as a reminder that the hobby is to be enjoyed and not just about chasing the next top prospect.